If you've ever read a statement and thought how perfect it was in explaining an experience or feeling, you understand the power of a quote. Military family quotes provide comfort during the many challenges and triumphs that pop up in military life, such as isolation. Special sayings can become something you depend on and cherish because they speak to your heart and mind. Military life is different from the lives of individuals who have a civilian job. Quotes help capture this unique experience. The day you married a service member is the day you joined the military. The military may take your body but I keep your heart. Deployment tears your heart in two, only reconnected at homecoming. When you go to war, my heart goes to war. Deployments are nothing compared to sharing our whole lives together. Behind every strong man is a stronger woman. A family that serves together stays together. Challenge is only the stepping stone to success. Connected souls never break no matter the miles apart. Longing for the day that I no longer need to long for you. Each deployment is one separation closer to retirement. With every new transfer comes a new life to make better than the last. When you joined the military, you joined the largest family in the country. You have family everywhere you go in the military. Military is a family that knows what it means to fight. Fight strong, fight hard, come home. You may have gone but I see you everywhere. When you deploy, we deploy. If prayer could send you home, I'd have you in my arms. Without goodbyes, there wouldn't be hellos. 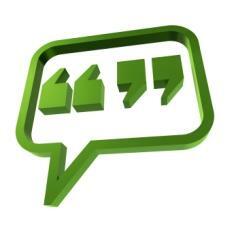 Quote Garden - This website has thousands of quotes on many different topics. They have a special section for Deployment and Coming Home that has some perfect quotes about separating from your service member. Thinkexist.com - These quotes are about military, but some you can use to show how much pride you have for your service member and your military family.